This genus is accepted, and is native to Solomon Island, Pacific and Australasia..
Hibbertia basaltica A.M.Buchanan & Schah. 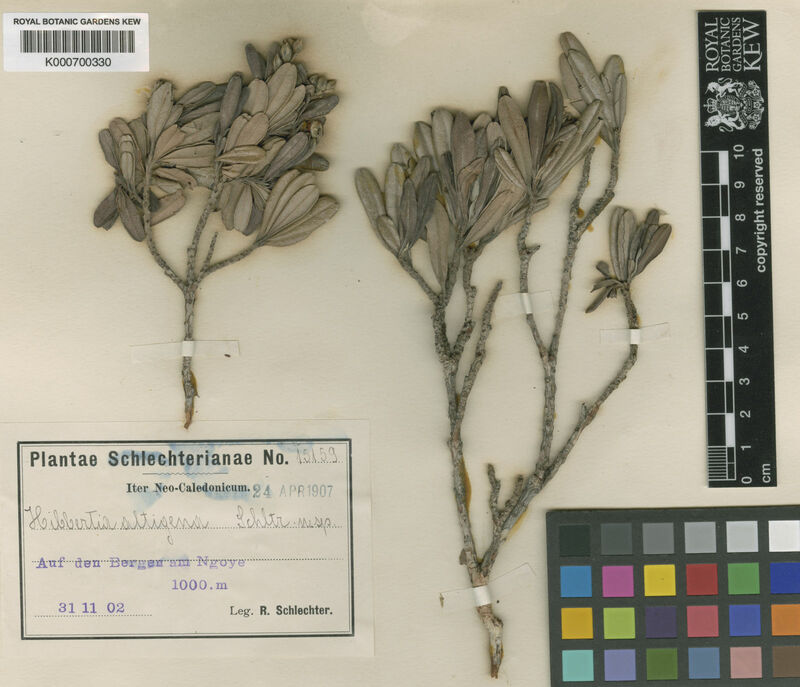 Hibbertia cistiflora (Sieber ex Spreng.) N.A.Wakef. Hibbertia cistifolia R.Br. ex DC. Hibbertia cunninghamii Aiton ex Hook. 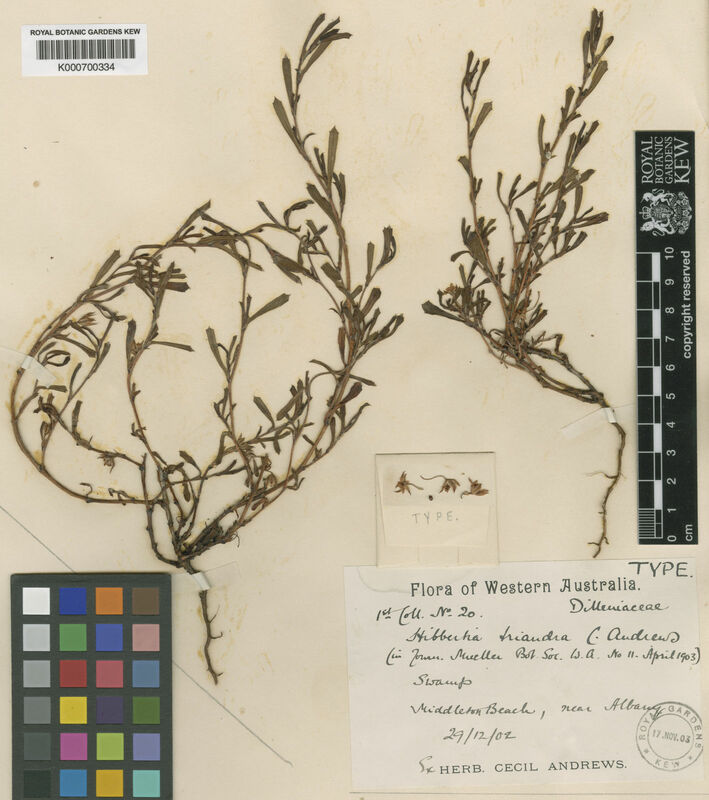 Hibbertia dentata R.Br. ex DC. 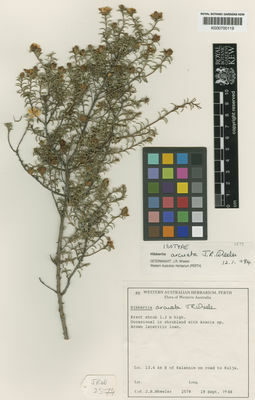 Hibbertia diffusa R.Br. ex DC. Hibbertia echiifolia R.Br. ex Benth. Hibbertia lepidota R.Br. ex DC. 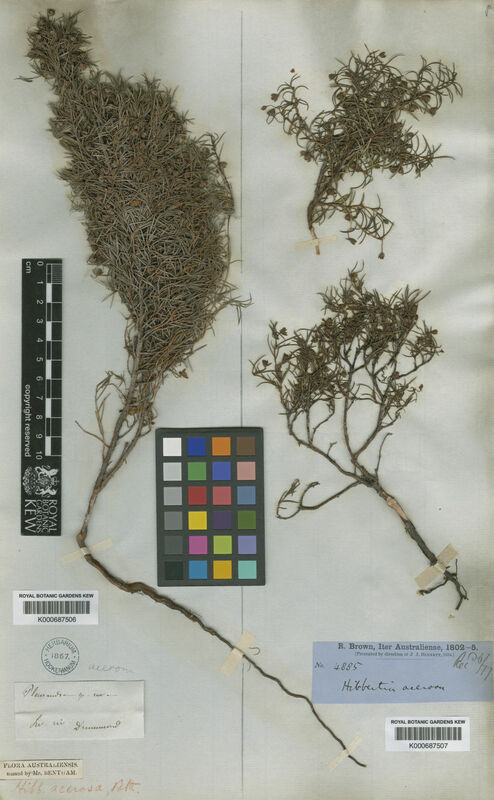 Hibbertia linearis R.Br. ex DC. Hibbertia monogyna R.Br. ex DC. Hibbertia oblongata R.Br. ex DC. Hibbertia oxycraspedota Toelken & R.T.Mill. Hibbertia pancheri (Brongn. & Gris) Briq. Hibbertia pedunculata R.Br. ex DC. Hibbertia perfoliata Hügel ex Endl. Hibbertia potentilliflora F.Muell. ex Benth. Hibbertia pulchella (Brongn. & Gris) Schltr. Hibbertia saligna R.Br. ex DC. Hibbertia scabra R.Br. ex Benth. 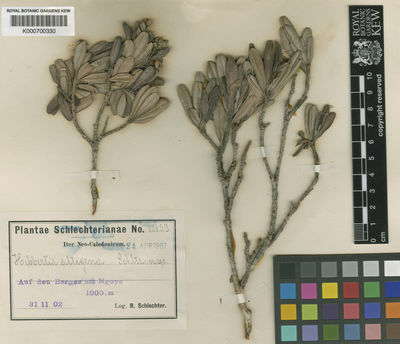 Hibbertia serpyllifolia R.Br. ex DC. Hibbertia spanantha Toelken & A.F.Rob. Hibbertia tomentosa R.Br. ex DC. 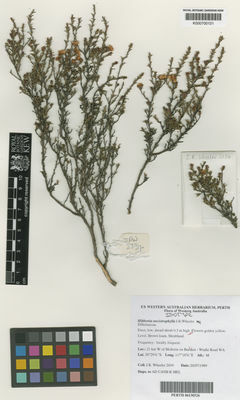 Hibbertia velutina R.Br. ex Benth. 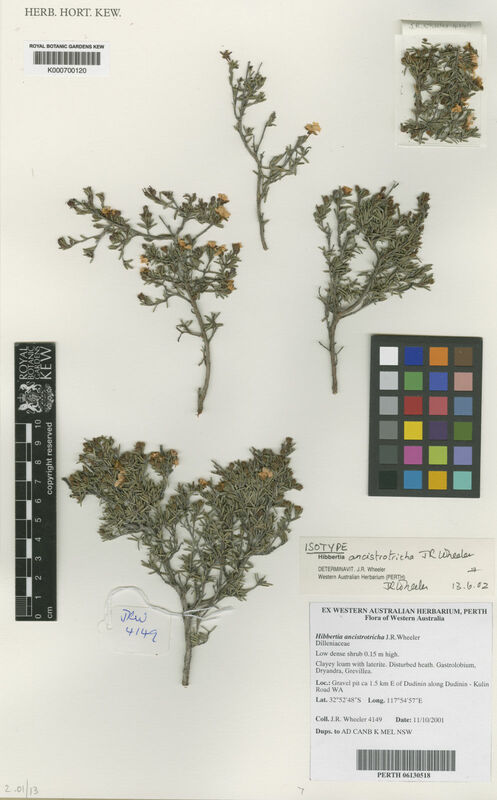 Hibbertia vestita A.Cunn. ex Benth. 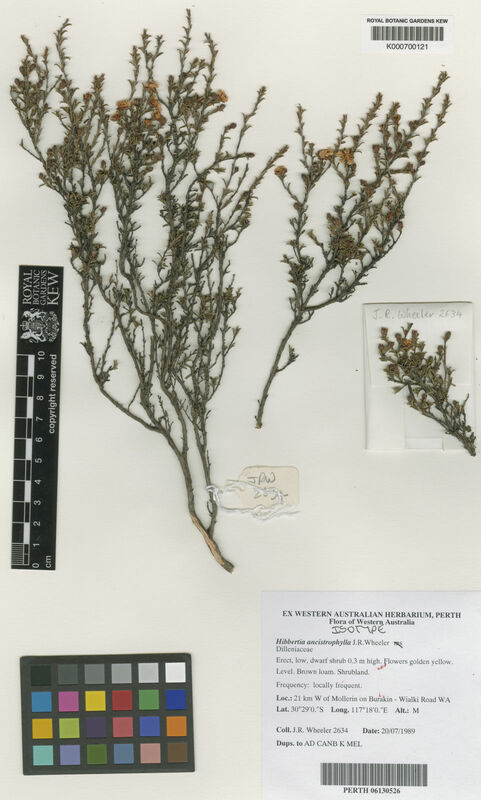 Hibbertia virgata R.Br. ex DC. Morat, P. & Mackee, H.S. (eds.) (1990). Flore de la Nouvelle-Calédonie et Dépendances 16: 1-137. Muséum National d'Histoire Naturelle, Paris.